Liverpool host AFC Bournemouth at Anfield on Saturday as Jürgen Klopp's side seek to move back into pole position in the Premier League. The Reds trail Manchester City on goal difference but have a game in hand on Pep Guardiola's side, who play Chelsea on Sunday. 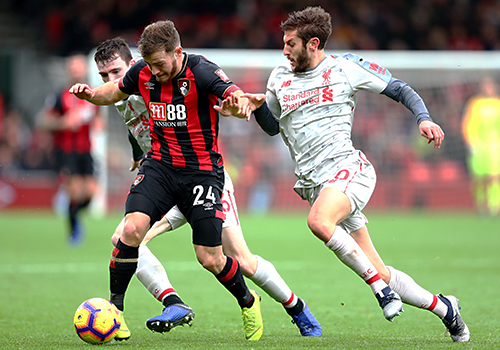 Liverpool beat Bournemouth 4-0 at the Vitality Stadium in December to help maintain a 20-game unbeaten run that propelled them to the top of the table. The Cherries, meanwhile, stunned Champions League-chasing Chelsea 4-0 at the end of January but followed that with a disappointing 2-0 defeat by Cardiff City last time out. 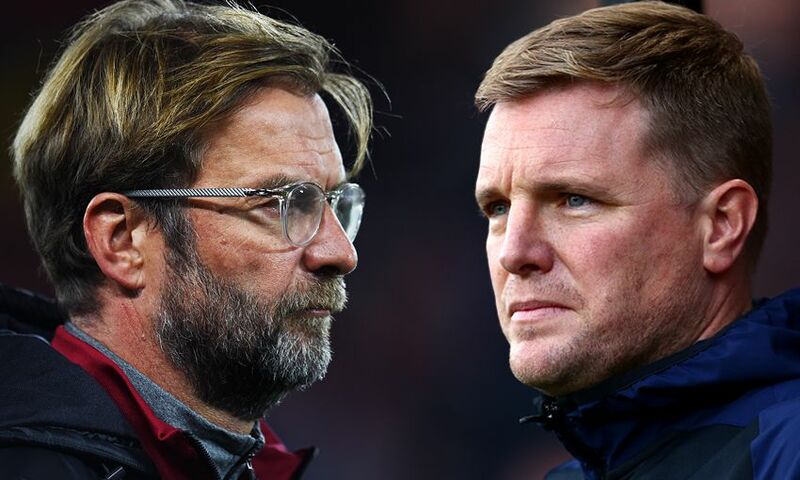 So, what can we expect from Eddie Howe's men at Anfield this weekend? It's been two months since we last spoke, what's your verdict on Bournemouth's season thus far? Overall, it's been a good season. Bournemouth started the campaign superbly and that gave them a solid foundation on which to build. Since the start of November, things have been more of a struggle with 10 defeats in 15 Premier League games. But a couple more wins will be enough to keep them up. 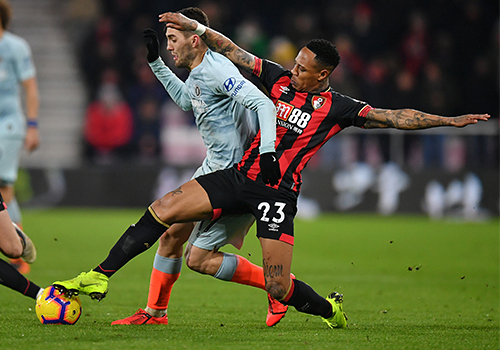 Howe's side have been erratic at times – brought into sharp focus last week when they thrashed Chelsea before losing at Cardiff City – but they will be nowhere near the relegation scrap. With top scorer Callum Wilson and playmaker David Brooks out injured, who will be Bournemouth's dangermen? Only Eden Hazard has more assists in the Premier League this season than Ryan Fraser. The Scotland international ripped Liverpool apart when he came off the bench in Bournemouth’s 4-3 win in December 2016 - and he is a better player now. Most defenders cannot live with Fraser's searing pace, while his passing, shooting and free-kick delivery have improved hugely in recent years. The Cherries lost 4-0 at the Vitality Stadium in the reverse fixture earlier this season, what will Eddie Howe do differently this time? I'm not sure there will be any great surprises from a tactical point of view. Bournemouth play the counter-attacking game very well, so they will aim to catch out Liverpool on that front. Clearly, defending better will be a priority. Nathaniel Clyne (loan) and Dominic Solanke (transfer) left Anfield to join the Cherries in January, how have they settled? Clyne had a tough time against Cardiff but, in general, he has started well. His raiding style fits perfectly with how Bournemouth play and he delivered a fantastic pass to Junior Stanislas in the build-up to the third goal against Chelsea. The 27-year-old has played his part in a couple of clean sheets as well. Solanke made his debut against Cardiff after recovering from injury but was starved of service and only had one touch in the attacking box. He needs minutes under his belt and no judgements can be made on him yet. You cannot help but admire the job Klopp has done. For the vast majority of the season, they have been fantastic. Their levels may have dipped slightly of late, but they are still a formidable side. I predicted Manchester City would win the title at the start of the season and I'm going to stand by that. But Liverpool won't be far behind. How do you expect Bournemouth to line up? If Bournemouth defend how they did against Cardiff, it could be a very difficult afternoon for them. If they defend how they did against Chelsea, they have a chance of taking something from the game as their front players are capable of causing problems. Bournemouth have never won at Liverpool and have not taken points away from home since the end of October. Liverpool are so strong in all areas and should win 2-0.